The Ecological Restoration Training Cooperative (ERTC) provides training opportunities for professionals and community members who would like to advance their restoration skills and knowledge. Training opportunities include online courses, a certificate program, webinars, and a virtual library of restoration resources. Learn site assessment, native seeding, ecological monitoring, vegetation management and restoration design best practices in the online courses offered through ERTC. The purpose of the training cooperative is to share the best available knowledge from research and practice to support restoration across the Upper Midwest. Whether a citizen embarking on a first restoration project or a seasoned practitioner, ERTC has ideas, resources, and opportunities for you. The Ecological Restoration certificate is a 150-hour program comprising five required courses, The certificate is designed to provide early career professionals with the skills necessary to undertake the most common kinds of Midwestern restorations, including revegetation of prairies, wetlands, lakeshores, forests, and savannas. The Wetland Delineator Certification Program has awarded 6 Direct Continuing Education Hours for each completed course. This required introductory course will simulate the initial steps of planning a restoration project, from gathering background information to collecting relevant data, then using the information gathered to formulate restoration goals. This course is a prerequisite to each of the other four courses. The registration fee is $375. What Is a Site Assessment? Site assessments range from basic rapid assessments of the restoration site to complex quantitative and comprehensive evaluations, yet all assessments have several components in common. This course is organized to introduce you to these assessment components, which are critical to successful site assessment and clear goal setting. Components of a site assessment that will be discussed include topography, soil, land use, hydrology, vegetation and biodiversity, and setting restoration goals. Many ecological restoration projects rely on revegetation from seed. This course discusses successful steps for designing and implementing a seed mix, from choosing appropriate species to preparing the planting site. This course will cover important steps such as assessing the need to seed, seed biology, designing seed mixes, acquiring and storing seeds, preparing to seed, seeding, and post-seeding management. The registration fee is $375. Ecological restorations of small sites often rely on installing young plants to create the desired natural vegetation. Even large sites, which are typically seeded, may be supplemented with plantings. This course discusses successful steps for designing, installing, and managing a native species planting project. This course acts as a guide to making sound decisions for each of these critical steps. This course will cover important steps including deciding to plant, selecting species, choosing planting stock, creating a planting plan, preparing to plant, planting, and post-planting management. The registration fee is $375. Monitoring is necessary for evaluating the effectiveness of restoration actions. Monitoring is systematically collecting data to determine whether a site is responding in a positive way to the restoration actions. For every restoration project, there are many more things that could be monitored than there are time and resources, so this course considers how to design an efficient and effective monitoring program that yields information helpful for ongoing restoration management decisions and problem solving. This course will focus on how to develop project-specific monitoring protocols that take into account site and landscape conditions, restoration goals, and selected methods. The registration fee is $375. Create and maintain records needed for ongoing restoration decision making. Restored and degraded ecosystems may take many years to recover. During that time, they need ongoing management because most restorations receive continuous pressure from invasive species; additionally, natural disturbance events like fire, floods, or bison grazing no longer happen as they once did. Techniques used in two broad categories of management strategies, reestablishing natural disturbances and controlling invasive species, are presented in this course. These management strategies are useful for managing the vegetation in restored ecosystems after initial establishment and in ecosystems that can be restored solely by implementing management practices, e.g., restoring natural communities that do not require planting or seeding. The registration fee is $375. Develop strategies for sites with many vegetation challenges that require the use of multiple methods. Who Should Enroll In These Courses? These courses are targeted at early career professionals. This course does not assume a technical background in any particular field and there are no prerequisites for the course; however, this course does require basic computer and internet skills (such as word processing, browsing the web, uploading and downloading files). To get an idea of the what to expect in the courses, watch this short video. It takes most students about 30 hours, including reviewing resource materials and completing assignments. All requirements must be completed by the last day of the registration period to receive continuing education credit. The courses include recommended deadlines for submitting assignments. If you submit your assignments by the recommended deadline, you’ll know which questions you didn’t answer correctly in time to try again. Participants who successfully complete each course will receive 3.0 CEUs and a Certificate of Completion. One CEU is defined as 10 contact hours of participation in an organized continuing education program. A CEU certificate will be sent to each participant after the conference. A permanent record of CEUs earned will be maintained by the University of Minnesota. Moodle recommends using Mozilla Firefox or Google Chrome as your browser, as some features will not work properly in other browsers. In the upper-right-hand corner, click "Login" and login with your internet ID (use the email address and password that you set up to register for the course online). Your course will appear in the body of the page. Click the course name to enter the modules. Maintaining project records is essential for keeping long-term restorations on track. In this webinar, Mark and Karen will discuss the importance of reviewing records of past management actions and inputs in order to guide ongoing decision making and ensure that restorations achieve the desired outcomes despite staff turnover and other challenges of long-term restoration. No manager wants to lose a restoration project to planting failure or adverse conditions. Join our panel as they discuss how project planning can minimize restoration risk. In this webinar, we will explore how stating specific restoration outcomes, factoring in contingencies, and selecting the management actions best suited to achieving desired outcomes can help managers avoid pitfalls that can hinder restoration success. Biocontrol has proven to be an effective tool for the control of some invasive species in Minnesota. This webinar will look back to review some of the successful biocontrol agents that have been developed and deployed for ecological restoration. Looking forward, the webinar speakers will discuss the use of existing, approved biocontrol agents and the development of new agents. Due to technical difficulties, the webinar was not recorded. You may view and print the PDF of the presentation. Please know that we are researching new software applications for our next webinar. Interseeding to enhance native diversity in degraded, restored, and exotic-dominated prairies is an important but poorly understood technique, often yielding variable and unclear outcomes. This webinar will address situations for which interseeding may be appropriate; outline effective strategies for site preparation, seeding, and management specific to interseeding; and explore ways of assessing interseeding results. This webinar is designed to stimulate discussion and knowledge-sharing among practitioners, ultimately resulting in a better understanding of the factors that most strongly influence interseeding outcomes. 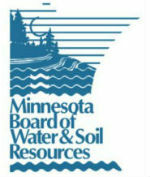 Minnesota Board of Water & Soil Resources "Guidelines for inter-seeding to restore or enhance native species diversity." Dave Williams' article "Effects of Frequent Mowing on Survival and Persistence of Forbs Seeded into a Species-Poor Grassland." Selecting seed sources for restoration projects, so plant communities are well-suited to both current and future conditions, often seems uncertain or even arbitrary. This webinar will explain factors that give rise to plant genetic variation across landscapes, introduce Minnesota DNR’s draft seed zone maps and guidelines, and provide an interactive format to help answer project-specific questions. Wet areas such as wetlands, shorelines, and stormwater projects are prone to environmental forces that can make them challenging to restore. This webinar will address key considerations for restoring these areas and provide an interactive format to help answer project specific questions. Learn how to make the State of Minnesota’s new seed mix system work for you! Minnesota County Record Checklist 2013, Minnesota Department of Natural Resources, St. Paul, MN, 2010. Minnesota Department of Natural Resources - Invasive Species, Minnesota Department of Natural Resources, St. Paul, MN. Minnesota Department of Transportation Plant Selector, Minnesota Department of Transportation, St. Paul, MN. Minnesota Wildflowers, Chayka, K. and P. Dziuk, 2016. National List of Vascular Plant Species that Occur in Wetlands, U.S. Fish and Wildlife Service, U.S. Fish & Wildlife Service Biological Report, 2016. Native Plant Community Classification, Ecological Land Classification Program, Minnesota County Biological Survey, and Natural Heritage and Nongame Research Program, Minnesota Department of Natural Resources, St. Paul, MN. Native Prairie Seeding Calculator (XLS), Natural Resources Conservation Service (NRCS), Iowa, 2016. PLANTS Database, USDA, NRCS, National Plant Data Center, Baton Rouge, LA. Plants for Stormwater Design: Species Selection for the Upper Midwest, Shaw, D. and R. Schmidt, Minnesota Pollution Control Agency, St. Paul, MN, 2003. Restore Your Shore, Minnesota Department of Natural Resources, St. Paul, MN, 2016. Illinois Plant Information Network, Iverson, L.R., D. Ketzner, and J. Karnes, Illinois Natural History Survey and USDA Forest Service, 1999. Illinois Wildflowers, Hilty, J., 2015. Lady Bird Johnson Center Native Plant Database, University of Texas, Austin, 2008. Field Guide to Wetland & Buffer Plant Seedlings, Bockenstedt, P., Bonestroo, St. Paul, MN. Going Native: A Prairie Restoration Handbook for Minnesota Landowners, Minnesota Department of Natural Resources, St. Paul, MN, 2000. Handbook for Collecting Vegetation Plot Data in Minnesota: The Relevé Method, Minnesota Department of Natural Resources, 2013. Managing and Restoring Riparian Environments, Minnesota Department of Natural Resources, St. Paul, MN. Managing and Restoring Woodland and Forest Communities, Minnesota Department of Natural Resources, St. Paul, MN. Managing, Restoring, and Re-establishing Prairie and Savanna Communities, Minnesota Department of Natural Resources, St. Paul, MN. Minnesota Wetland Restoration Guide, Vegetation Establishment Section, Minnesota Board of Water and Soil Resources, St. Paul, MN. Mn/DOT Seeding Manual, Minnesota Department of Transportation, Office of Environmental Services, Erosion Control Engineering Unit, St. Paul, MN, 2014. State of Minnesota 2016 Wetland Plant List, United States Army Corp of Engineers, National Wetland Plant List, 2016. Native Seed Mix Design for Roadsides, MacDonagh, P. and N. Hallyn, Minnesota Department of Transportation, St. Paul, MN, 2010. Native Vegetation Establishment and Enhancement Guidelines, Minnesota Board of Water and Soil Resources, St. Paul, MN, 2016. Prairie Seedling and Seeding Evaluation Guide, Bockenstedt, P., Bonestroo, St. Paul, MN. Restoration and Management of Declining Habitats - Tallgrass Prairie (643), Natural Resources Conservation Service (NRCS) of Minnesota, U.S. Department of Agriculture, Washington, DC., 2005. Central Region Seedling ID Guide for Native Prairie Plants, USDA-NRCS, 2005. Field Guide to the Native Plant Communities of Minnesota: The Eastern Broadleaf Forest Province, Ecological Land Classification Program, Minnesota County Biological Survey, and Natural Heritage and Nongame Research Program, Minnesota Department of Natural Resources, St. Paul, MN, 2005. Field Guide to the Native Plant Communities of Minnesota: The Laurentian Mixed Forest Province, Ecological Land Classification Program, Minnesota County Biological Survey, and Natural Heritage and Nongame Research Program, Minnesota Department of Natural Resources, St. Paul, MN, 2003. Field Guide to the Native Plant Communities of Minnesota: The Prairie Parkland and Tallgrass Aspen Parklands Provinces, Ecological Land Classification Program, Minnesota County Biological Survey, and Natural Heritage and Nongame Research Program, Minnesota Department of Natural Resources, St. Paul, MN, 2005. Field Guide to Wisconsin Sedges: An Introduction to the Genus Carex (Cyperaceae), Hipp, A. L., The University of Wisconsin Press, Madison, WI, 2008. Flora of the Great Plains, Barkley, T. (Ed. ), University Press of Kansas, Lawrence, KS, 1986. Lakescaping for Wildlife and Water Quality, Henderson, C.L., C.J. Dindorf and F.J. Rozumalski, Minnesota Department of Natural Resources, St. Paul, MN, 1998. Michigan Flora: Part 1 Gymnosperms and Monocots, Voss, E.G., Cranbrook Institute of Science, Bloomfield Hills, MI, 1972. Michigan Flora: Part 2 Dicots, Voss, E.G., Cranbrook Institute of Science, Bloomfield Hills, MI, 1985. Michigan Flora: Part 3 Dicots Concluded, Voss, E.G., Cranbrook Institute of Science, Bloomfield Hills, MI, 1996. Minnesota Flora: An Illustrated Guide to Vascular Plants of Minnesota. Chadde, S.W., A Bogman Guide, 2013. Minnesota Invasive Non-native Terrestrial Plants: An Identification Guide for Resource Managers, Minnesota Department of Natural Resources Trails & Waterways, St. Paul, MN, 2002. Minnesota's Saint Croix River Valley and the Anoka Sandplain: A Guide to Native Habitats, Wovcha, D.S., B.C. Delaney and G.E. Nordquist, University of Minnesota Press, Minneapolis, MN, 1995. Northland Wildflowers: the Comprehensive Guide to the Minnesota Region, Moyle, J.B., University of Minnesota Press, Minneapolis, MN, 2001. Plants for Stormwater Design: Species Selection for the Upper Midwest, Shaw, D and R. Schmidt, Minnesota Pollution Control Agency, St. Paul, MN, 2003. Restoring the Tallgrass Prairie: An Illustrated Manual for Iowa and the Upper Midwest, Shirley, S., Bur Oak Book, University of Iowa Press, Iowa City, IA, 1994. Tallgrass Prairie Center Guide to Prairie Restoration, in the Upper Midwest (The), Smith, D., D. Williams, G. Houseal, and K. Henderson, Tallgrass Prairie Center, University of Iowa Press, Iowa City, IA, 2010. Tallgrass Prairie Center Guide to Seed and Seedling Identification (The), Williams, D. and B. Butler, Tallgrass Prairie Center, University of Iowa Press, Iowa City, IA, 2010. Tallgrass Restoration Handbook for Prairies, Savannas, and Woodlands (The), Packard, S. and C. Mutel, Island Press, Covelo, CA, 1997. Trees and Shrubs of Minnesota: The Complete Guide to Species Identification, Smith, W.R., University of Minnesota Press, Minneapolis, MN, 2008. Wetland Plants and Plant Communities of Minnesota and Wisconsin, Eggers, S.D. and D.M. Reed, US Army Corps of Engineers, Saint Paul District, St. Paul, MN, 1987. Minnesota Environment and Natural Resources Trust Fund, as recommended by the Legislative-Citizen Commission on Minnesota Resources (LCCMR). The Trust Fund is a permanent fund constitutionally established by the citizens of Minnesota to assist in the protection, conservation, preservation, and enhancement of the state's air, water, land, fish, wildlife, and other natural resources.